Fr. 3000-B. 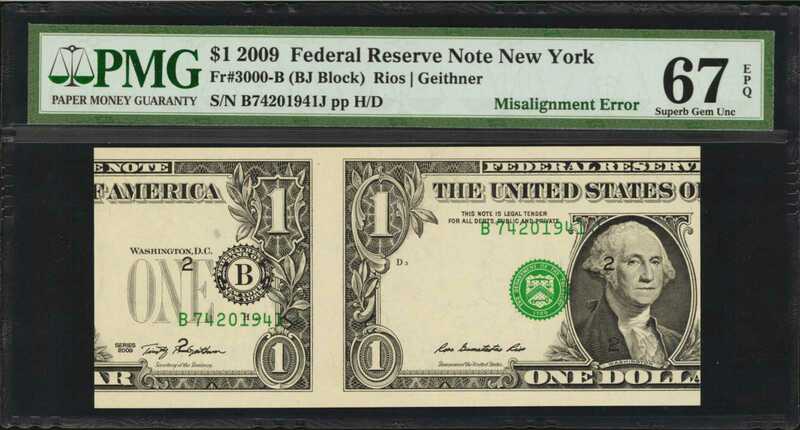 2009 $1 Federal Reserve Note. New York. PMG Superb Gem Uncirculated 67 EPQ. Misalignment Error.A highly dramatic error note that shows with the overprints in their as intended location although the face and back printing are drastically skewed. Roughly 40 percent of an adjacent note is seen, and the quality is also something of note with strictly original paper throughout.